[PDF] The Ultimate Sniper: An Advanced Training Manual for Military and Police Snipers | Free eBooks Download - EBOOKEE! 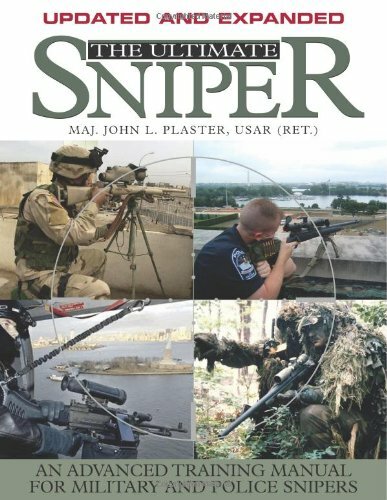 Description: Find out why professional snipers, sharpshooters and long range riflemen consider The Ultimate Sniper to be the bible of their craft When John Plaster's The Ultimate Sniper was released in 1993, it was hailed as an instant classic in the sniping community, influencing an entire generation of military and police marksmen around the world. Now, this revolutionary book has been completely updated and expanded for the 21st century. Through revised text, new photos, specialised illustrations, updated charts and additional information sidebars, The Ultimate Sniper once again thoroughly details the three great skill areas of sniping marksmanship, fieldcraft and tactics. This new edition includes the latest tactics and techniques from the frontlines of the War on Terror, including the mountains, deserts and urban areas of the Middle East and Central Asia analysis of evolving techniques including lasers, night vision, FLIR and ballistics programmes an all-new chapter on countersniping 'lessons learned' in Iraq and Afghanistan and detailed ballistics and trajectory data for sniper ammunition. About the Author Major John L. Plaster served three tours in the top-secret unconventional warfare group, Studies and Observations Group, in Vietnam. As a long-range reconnaissance leader, he led tiny intelligence-gathering teams behind enemy lines in Laos and Cambodia before leaving SOG in late 1971. He was decorated for heroism four times and retired from the U.S. Army as a major. No comments for "[PDF] The Ultimate Sniper: An Advanced Training Manual for Military and Police Snipers".